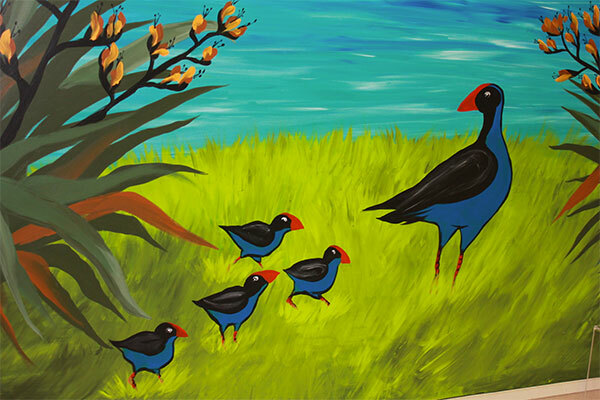 The Tui Room caters for children from two to three and a half years. We support childrens’ development by providing a primary care teacher. This provides stability and continuity for your child as they perceive that their emotional, physical and cognitive needs will be met, initially by their primary care teacher and additionally by the collective teaching team. We have a staff/child ratio of one to six. 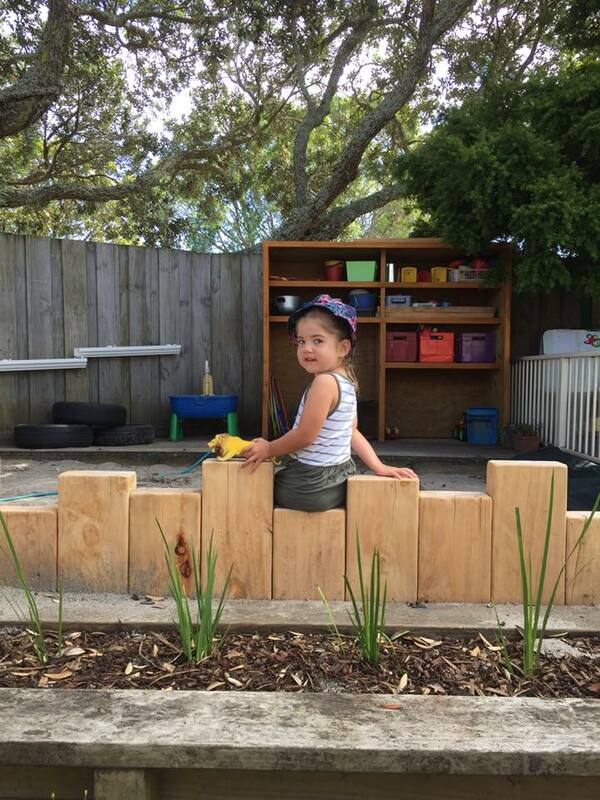 Our Tui Room is a busy active place full of two to three and a half year olds. 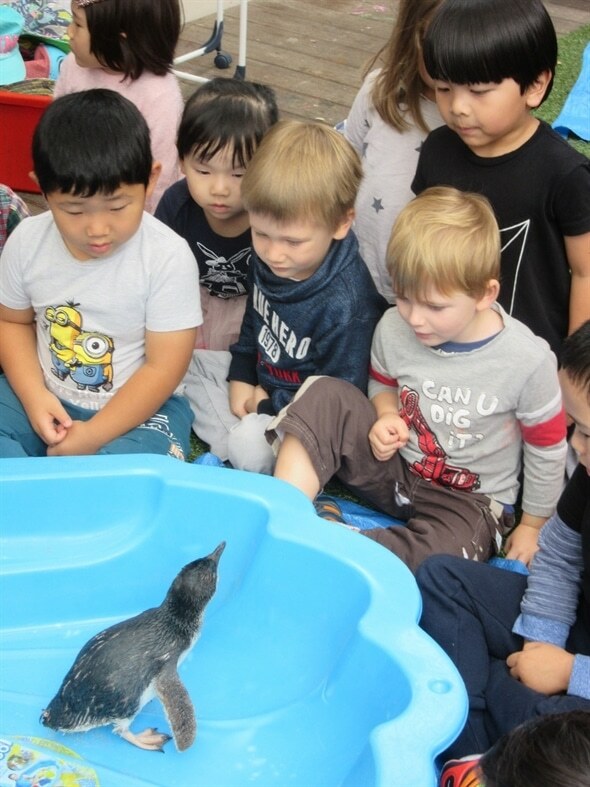 They engage in a variety of activities with the teachers involving creative play, music and movement, arts and crafts, play dough, water and bubbles, mat times, small group activities and two to three outside times during the day. 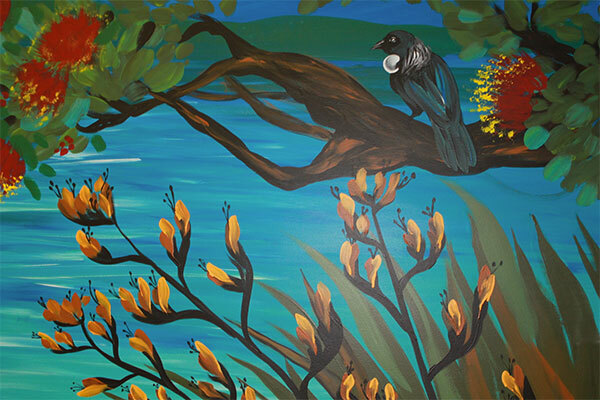 At around three and a half years of age your child will begin settling into The Pukeko Room. 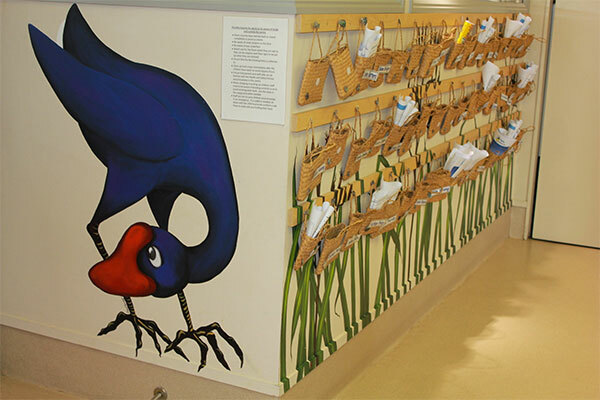 The Pukeko Room caters for children from three and a half years to five years. 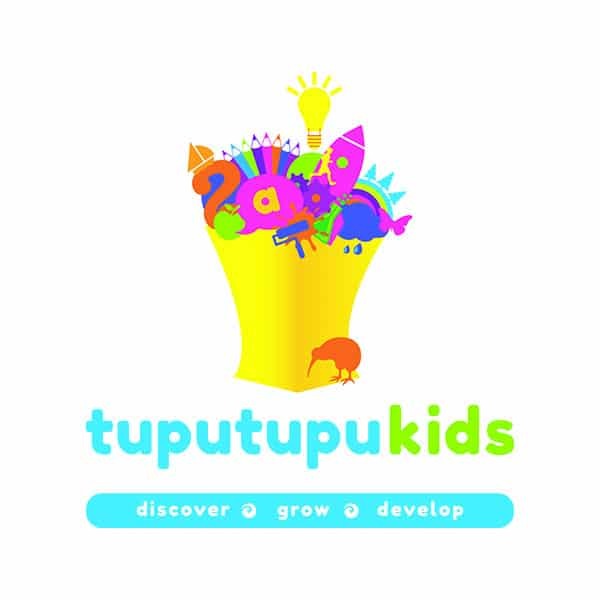 The Pukeko children have a diverse programme that incorporates some child initiated play, some adult guided areas, mat times, outside time, music and movement, creative play, extension group time and a range of different activities.The teachers plan a range of learning experiences that are generated from the interests of the children. We also engage in emergent planning, which involves picking up on topics that the children show an interest in and extending these ideas. The children enjoy a slightly more structured programme with higher expectations placed upon them. 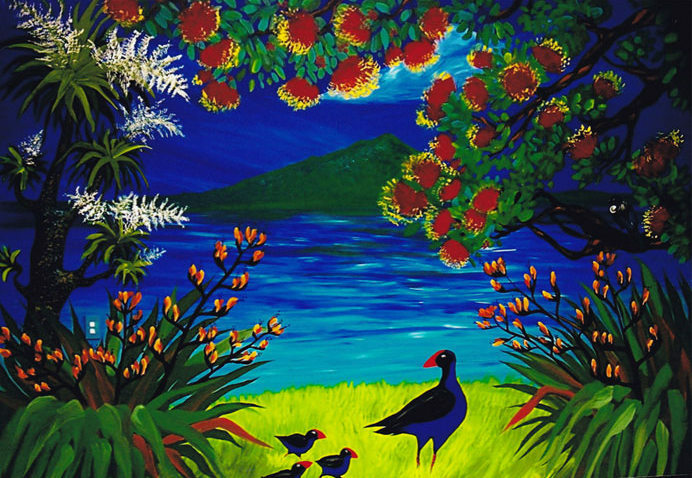 Emergent literacy and numeracy skills are an integral part of the Pukeko programme. We encourage the development of independence, self-care and self-help skills. This is our focused activity time for our four and a half to five year olds. It is a goal and learning outcome centred time, especially designed for our older children. During this time the children are focusing on more complex tasks to aid them in their preparation for Primary School. We encourage the development of concentration skills, problem solving and task completion. A love of learning is fostered during these times as well as opportunity for the children to experience success. 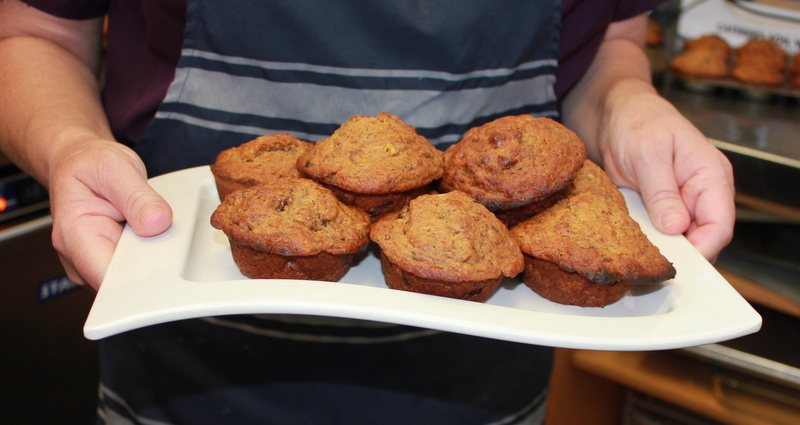 We have a cook employed to supply the children with nutritious and well-balanced lunches, morning and afternoon teas. 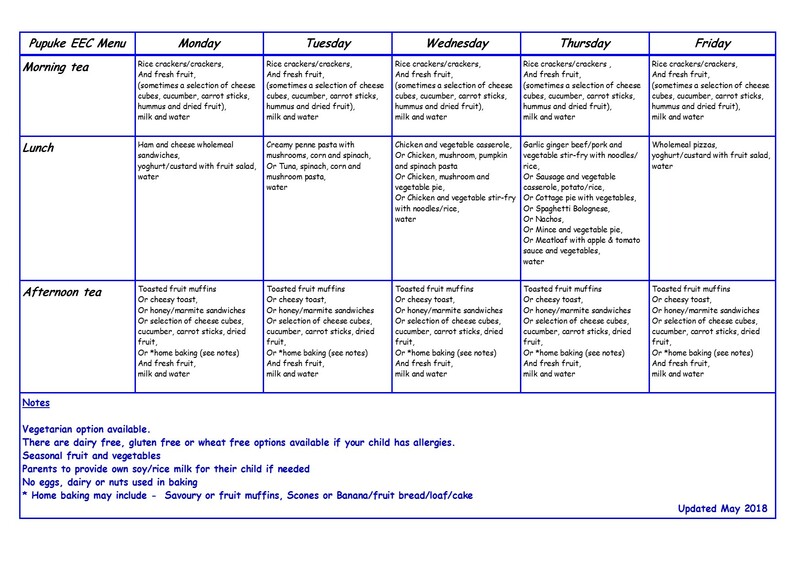 If your child has special dietary requirements please let us know. Meal times are held in a group environment where the children are able to mix and socialize with others. Click on the menu to the right to view.